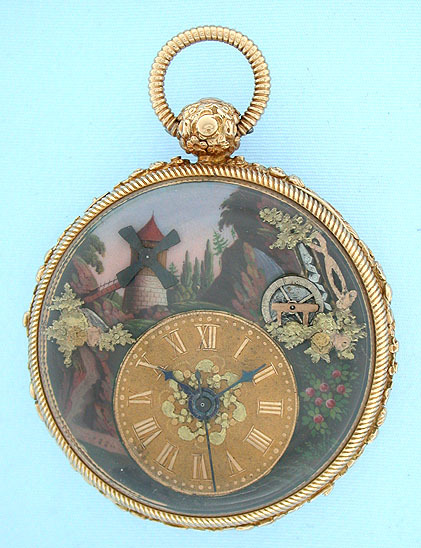 Fine and rare Swiss 18K gold and painted enamel triple automaton antique pocket watch circa 1810. 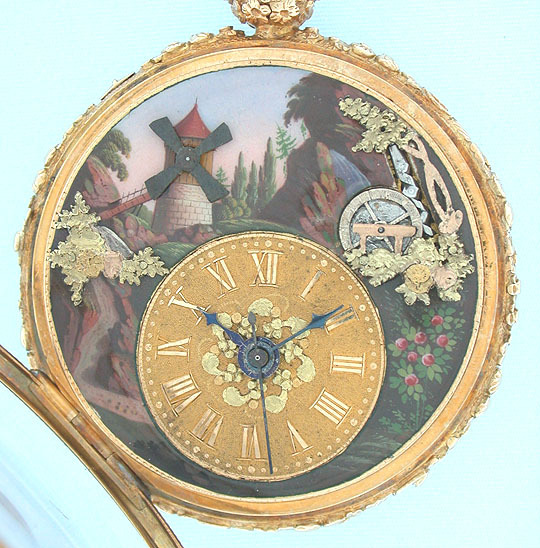 The enamel dial painted with a landscape of a mountain and a windmill with trees and flowers with an eccentric gold dial with applied gold numbers and applied colored gold decorations. 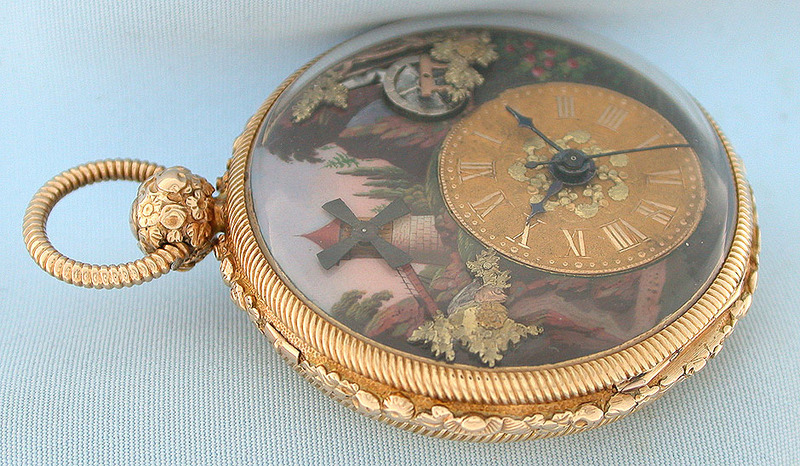 Also with applied multicolored gold foliage. When activated by a button in the band, the windmill turns, the stream flows, and the waterwheel turns. 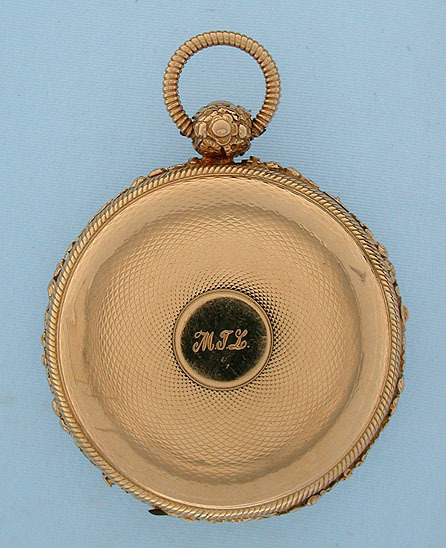 Engine turned case (typical edge pocket wear) with cast and decorated bezels, band, pendant and bow. 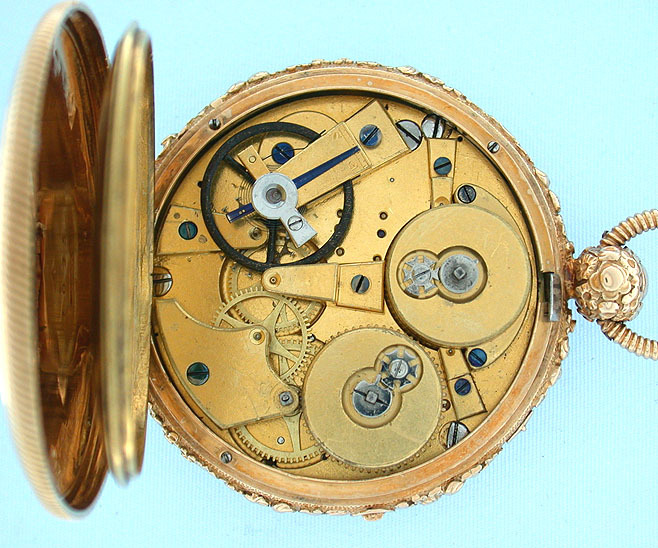 Gilt two train Lepine caliber cylinder movement. 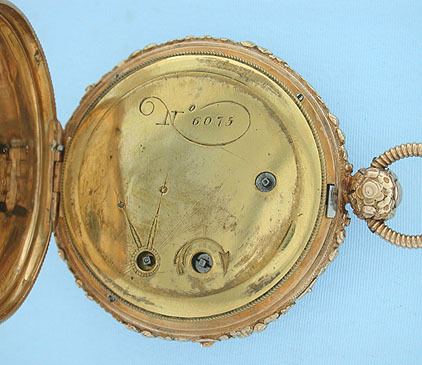 This is an unusual form of automaton watch which I have not previously seen. Because of the center seconds it was most likely made for the Chinese market. Most attractive.